Researchers have developed a device that diffuses potent disinfectants for airborne delivery, an advance claimed to work on disinfectants that have never been atomised before, including Triethylene glycol (TEG). In a study published in Applied Microbiology and Biotechnology, the team of engineers and physicians in San Diego used the device to atomise disinfectants onto environmental surfaces contaminated with bacteria and showed that it eliminated 100 per cent of bacteria that commonly cause hospital-acquired infections. In addition, atomised bleach solution, ethanol and TEG eliminated multi-drug resistant strains of bacteria including K. pneumoniae. The technology could also be used to deliver a new class of medicines to patients via inhalers. “Our goal is to make injectable treatments inhalable,” said James Friend, a professor of mechanical engineering at the UC San Diego Jacobs School of Engineering and one of the paper’s authors. In this study, researchers used the smartphone components to generate sound waves at extremely high frequencies ranging from 100 million to 10 billion hertz in order to create fluid capillary waves. These waves emit droplets and generate mist during the atomisation process. Fluids can be atomised mechanically – such as in perfume and cologne sprayers – or by using ultrasound. 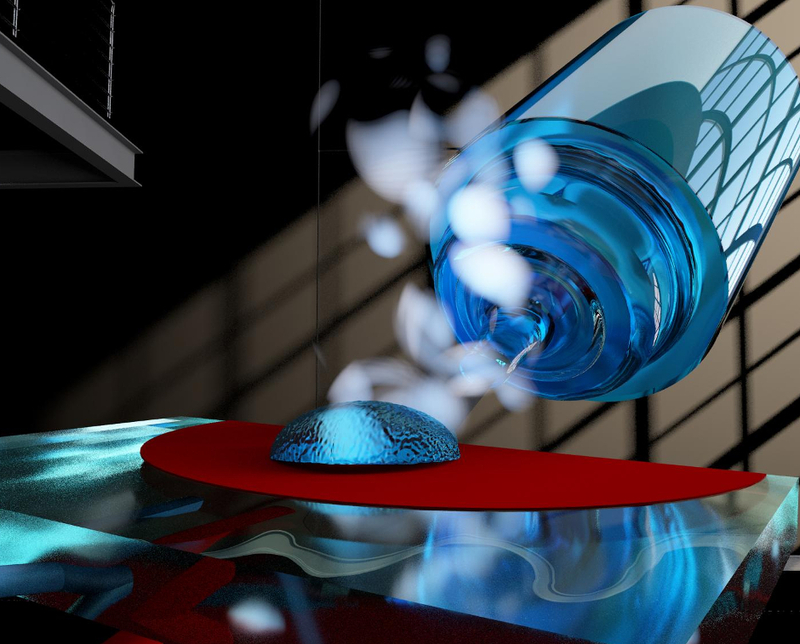 According to UCSD, these methods either don’t work well with viscous fluids, require too much power, or break down some of the fluids’ active ingredients. They also require expensive equipment. The technology overcomes these drawbacks thanks to lithium niobate, a compound used in smart phone components that produces more energy-efficient and more reliable ultrasonic vibrations. Consequently, the device can atomise even the most viscous fluids into a fine mist that can drift in the air for over an hour. The device was built by Friend’s research group and tested in the laboratory of Dr Victor Nizet at the UC San Diego School of Medicine, in experiments led by Kumaraswamy. Although the device worked well on pneumonia-causing bacteria and on various multi-drug resistant strains of other pathogens, atomised TEG did not eliminate MRSA, much to the researchers’ surprise. Researchers are now working on building an updated prototype to use in a hospital setting, which is expected to take one or two years. Once developed, the device could be used in settings including airports, airplanes and in public transportation during flu season. In the late 1960s and early 1970s, Stephen Markell, foreman of the craft trades at the Sterling Drug plant in Rennesslaer New York, first developed the aerosol method of disinfecting clean rooms for the manufacture of drugs. Sterling was encountering great difficlty in regularly meeting FDA cleanliness standards and struggled to adequately pass bacterial “patch tests” on walls, floors and other difficult to reach surfaces. His methods immediately enabled the regular passing of FDA standards. The cost of labor to hand clean facilities and the cost of lost production due to lengthy shutdowns was reduced by more than 90% when Markell directed the aerosol application of a compound he simply referred to as “amphill”. He was recognized for his innovation and cost reductions contributions at a ceremony in New York City by Sterling’s executives.